Save the date. Saturday March 23rd 5:30AM on KBS2 TV and Tuesday March 26th at 11:40 PM, KBS1 TV. 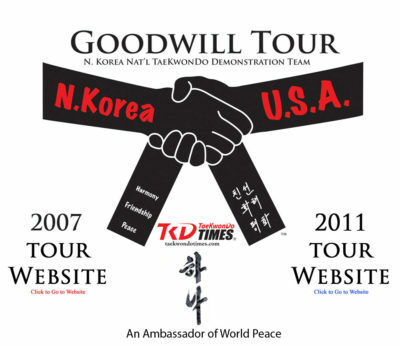 KBS will air the 2007/2011 Goodwill Tour Documentary. 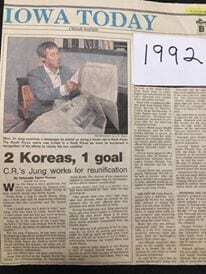 My dream is a 3rd Goodwill Tour! 역사적인 북미.남북.Wt&ITF 화합 평화를 미국 태권도가족들의 3.1 정신행사, 다큐를 한다니 지난 28년 고난과 흥분이 기대 됨니다. My dream is a 3rd Goodwill tour! 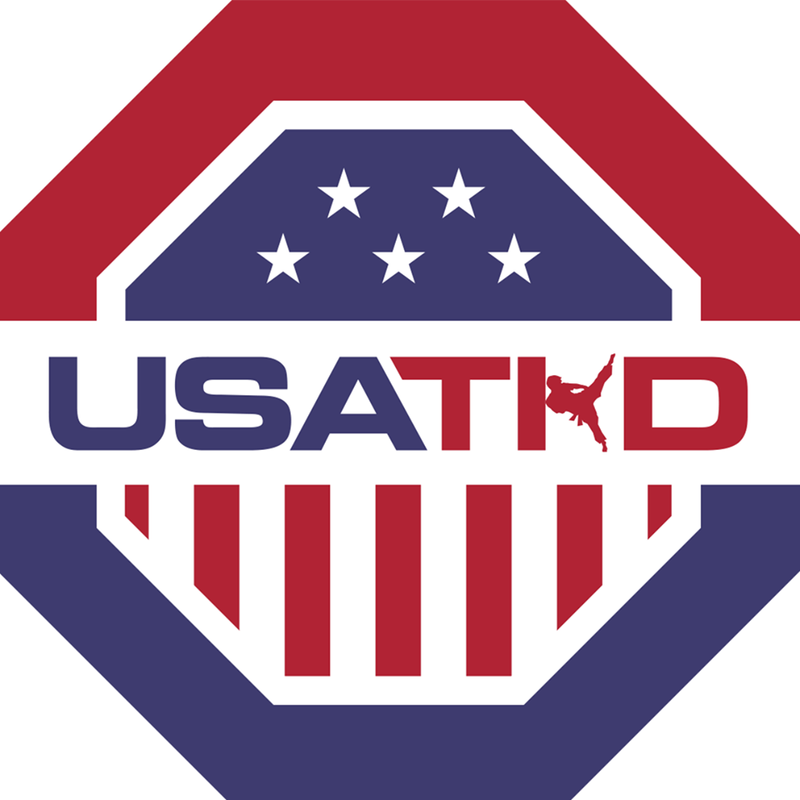 Taekwondo Times since 1991 and with the Good Will Tours of 2007 and 2011 has been working towards peace through martial arts, paving the way like a deer road. 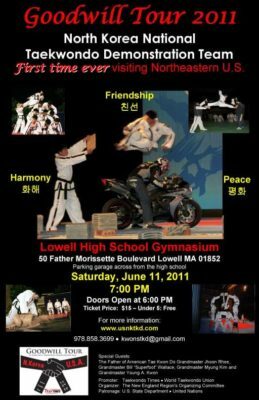 These events brought North and South Korean martial artists together for the first time, the North Korean anthem being sung on U.S. soil for the first time. 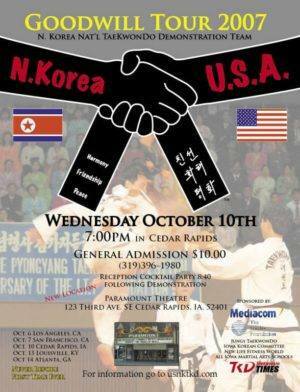 Eight U.S. cities toured, with demonstrations from the North and South Korean TaeKwonDo demonstration teams.Some day hoping for peace.